“Woe to you, because you build tombs for the prophets, and it was your ancestors who killed them. So you testify that you approve of what your ancestors did; they killed the prophets, and you build their tombs. Because of this, God in his wisdom said, ‘I will send them prophets and apostles, some of whom they will kill and others they will persecute.’ Therefore this generation will be held responsible for the blood of all the prophets that has been shed since the beginning of the world, from the blood of Abel to the blood of Zechariah, who was killed between the altar and the sanctuary. Yes, I tell you, this generation will be held responsible for it all” (Luke 11.47-51).Good news everyone! I’m back! Thanks for your patience during the months of October and November. The sixteen presentations of The Jesus Dialogue are now on our website, and my voice has recovered from the last two series in North Carolina and Northern California. It is so good to be back. I’ve missed you guys. Let me encourage each of you to check out the new series online. We are getting such good feedback, and I trust you will be tremendously blessed as well. 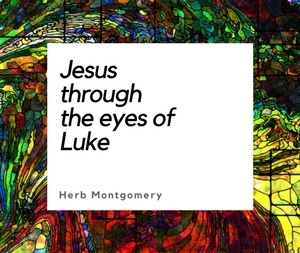 Now, let’s get back to our study of Jesus’ words in Luke chapter 11. This will be our next to the last eSight on this chapter section. This week, we see Jesus reaching His climax. He had been warning of the impending, but not unavoidable Woe that would be coming upon the abusive religious system of His day. He cautioned that if people remained unchanged, destruction would occur in AD 70. This quite possibly would be the final generation. The cumulative shed blood of all the prophets from the first in their sacred cannon (Able) to the last (Zechariah) was about to be accounted for. Sadly, history tells us that this is exactly what happened. Jesus begins this section with a reference to the Pharisee’s building of tombs for the prophets. Here, Jesus accuses the Pharisees of a kind of “lip service” to the prophets. Yet in their hearts, they were actually aligned with the spirit that lead the original leaders of Israel to kill the prophets. Have you ever felt like the religious environment around you is simply giving lip service to the gospel? That it carefully used all the right phrases and terms but remained antithetical to what the Gospel is really all about? We must be careful not simply to clothe our teachings in the terminology of the Gospel, but to allow the Gospel to actually reshape our teachings from the inside out. We must make sure that our religious program and agenda is not just giving lip service to Jesus. The Pharisees “spoke” highly of the prophets and built tombs in their honor, but in their words and actions, they were part of the very paradigm that led their predecessors to murder the prophets. With their mouths, they spoke of honor while their hearts meditated on murder. They “spoke” highly of the prophets, but they were only months away from killing the Greatest Prophet ever sent to Israel, Yahweh Himself, in human flesh. Rather than allowing God to confront their religious system, they would reject God Himself to sustain and protect the system in which they had become so invested. Today are we trying to make our religious agenda fit the true message and meaning of Christ’s kingdom of radical, self sacrificial, other-centered love, while engaging in a religious paradigm that is completely antithetical to this kingdom? Or are we really allowing Jesus and His teaching on the Kingdom to turn our religious agendas on their head. We cannot force Jesus’ teachings into our own religious program, and we cannot try to force Jesus to support not simply what we are doing, but how we are doing it as well, when too often He is saying just the opposite. We cannot pretend to follow Jesus. We cannot ignore the contradiction when we see it. We must come to Jesus and His teaching with an honest heart, holding our religious agenda in an open hand, allowing Jesus to confront it. Everything that can be shaken will be shaken in this process, and what remains at the end will truly reflect the beauty of the Kingdom. We will no longer simply enlarge a religion, a denomination, or an institution; we will find ourselves, like Jesus, humbly and lovingly serving others, enlarging a Kingdom. We must allow these words to confront us. It is a very scary thing when religious people are so sure that their agenda, program, and system are absolutely “right” when fundamentally, they are as far from the kingdom as imaginable. That generation was held responsible for it all. In AD 70, it all came to an end. Those who had received the promise of being God’s people had rejected Him while giving Him lip service at the same time. Wherever Jesus’ words find us this week, may God save us from the very same mistake. I know these are solemn words. But in my heart of hearts I feel that this issue is one with which me must come to terms with ourselves as those who claim to be God’s people living today. Thank you for listening with an open heart. I pray God’s spirit will usher us all into the glorious love, joy, peace, and beauty of His Kingdom. Keep living in love and letting the love of the Kingdom transform everything we are about from the inside out.